In a past article on the 3 Best Foods For Fat Loss, I mentioned kelp, or seaweed as one of these foods. In that section I talked about the vital element iodine that’s found in kelp. Beyond just being a trace mineral, it’s a necessary mineral our body needs to survive. It’s no coincidence that iodized salt fill the shelves of supermarkets and grocery shops today. But unlike iodized salt, kelp is a natural food with natural iodine. The iodize salt bought at stores typically contains aluminum compounds, anti-caking agents, and other additives that makes it highly undesirable from a health standpoint. It’s basically taking in one vital mineral along with man-made additives that deteriorates our health. 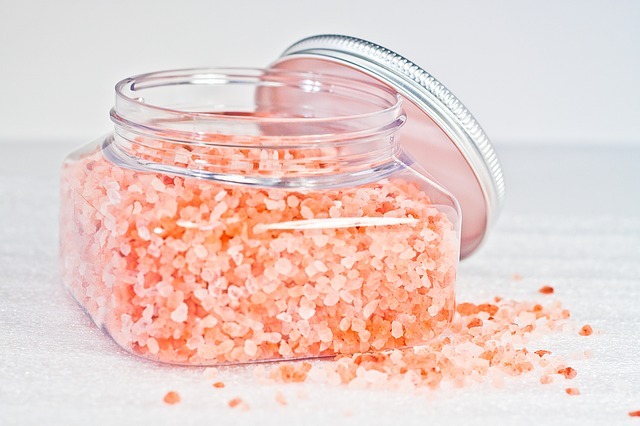 Table salts are typically mined and sometimes even “made” in a factory. Not to mention the iodine added to table salt is not the naturally occurring iodine found in sea vegetables and animals. This iodine is not as easily assimilated in our body. Meanwhile, we have sea salt that are in fact harvest from the sea, which contains very little amounts of iodine. It’s still better than table salt in every respect for health. Then we have ocean vegetables like kelp that we had mentioned. We also have saltwater fish that contains natural occurring iodine. But the danger of mercury is ever present with saltwater fish, especially those higher in the food chain. And not everyone have access to kelp or seaweed (try eating copious amounts of sushi everyday). Even if we have a varied diet with all types of different food groups, those of us living far from coastal areas would still have trouble getting sufficient iodine in our diets. Hence, the need for a supplement that can give us our daily dose of this much needed mineral. But not all supplements are created equal. On top of that, not all types of iodine are absorbed by, used by, and affect the body in the same way. So what iodine supplement do we need? Which ones work the best? Before we get to that, let’s look at the urgent need for iodine that lacking in the diets of over 2 billion people. Iodine deficiency is a world-wide problem and affects billions of people. Although most of the deficiencies are found in third-world countries, many of in developed countries are affect by it just as much. The use of fluoride toothpaste, exposure to chloride in public pools, bromine put into commercial breads, and other chemicals we’re exposed to on a regular basis for compete for uptake with iodine. Basically, we can’t even absorb all the iodine we ingest because of other competing minerals. To make matters worse, most of us are probably not getting enough iodine in our diets as is. Take the US for example. The Recommended Daily Allowance for iodine set by the US Food and Drug Administration (FDA) is at 150 micrograms (ug) per day for both men and women, with a Tolerable Upper Intake Level (UL) at 1,100 ug per day. Compare that with the actual average daily intake in Japan, where some of the longest living people in the world reside. With an abundance of saltwater fish and ocean vegetables, the average Japanese consumes anywhere from 1,000 – 3,000 ug of iodine per day! Just from this, there are a few interesting facts we should consider. The UL set by the FDA is based on the analysis of effects of supplementation on thyroid-stimulating hormone. This is a flawed process in accessing how much iodine one needs in their diet. A hormone used to stimulate the thyroid is used and the data is correlated to that of iodine intake. It’s obvious iodine have more effects than just thyroid stimulation. And as with any naturally occurring nutrient, our bodies have a way of dealing with it in excess, if it’s taken in organically or the way nature had it. This brings me to the next fact. 2. The Japanese were taking in iodine from their food, not a hormone enhancer. If the standards set by the FDA is accurate, then Japan would be leading the world in cases of thyroid problems like hyper and hypothyroidism (excess iodine can lead to hypothyroidism also). While there are those in Japan that do suffer from these conditions due to their excess intake of iodine, it’s clear that plenty of healthy people are getting by no problem with a much higher dosage of iodine in their diets. Also, take into account that most of the thyroid problems due to excess iodine found in Japan are from people of the Hokkaido Island. Residents of this island consume enough seaweed on a daily basis to provide 200 milligram of iodine per day. 200 milligrams is 200,000 ug, that’s over 1,300 times the RDA set by the US FDA! 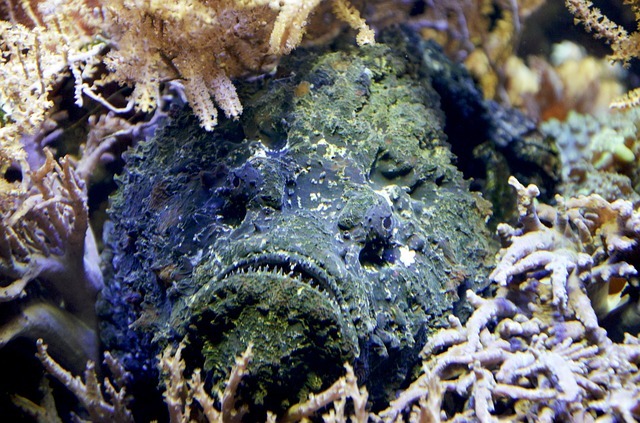 Maybe One Too Many Seaweed? 3. Japan has the most centenarians per capita in the world. Of course, there’s so much more at play than just iodine when it comes to a living a long life. But the fact that Japan has the highest percentage of its population living over 100 years means they’re doing something right. A lot of them have been keeping the same type of diet for over hundreds of years. Harvesting, preparing, and eating the same foods in the same way. Although the high iodine intake is by no means the only reason or even a reason for the populations’ longevity, it does prove that the amount of iodine we need for a healthy mind and body is more than we may think. Why do I say iodine is necessary for both healthy mind and body? Isn’t iodine only good for our thyroid and nothing else? Read on to find out more. It’s easy to think that iodine is good for the thyroid alone. After all, that’s the most talked about function of iodine in our society today. But not a lot of people know about the effects of iodine deficiency. Beyond just an unhealthy thyroid gland, other areas of our health are greatly affected as well. A lot of these effects are a result of the thyroid gland not getting its fair dose of iodine, but some are simply other parts of our bodies needing this trace mineral but not getting enough of it. Here are a few of the common, but devastating results from chronic iodine deficiency. This is by far the most preventable condition due to a lack of iodine intake. It’s mainly caused in babies during the nursing period. Due to a lack of iodine in the nursing mother’s diet, her milk lacks the iodine the baby needs, rendering the baby hypothyroidic. In adult, hypothyroidism causes mental slowing, but is reversed once the condition is fixed. In babies, this mental slowing occurs during brain development, which is one of the causes of mental retardation. A third of the 2 billion that are deficient in iodine are school-age children. This is an hidden epidemic because mental slowness is not often attributed to a lack of iodine in the diet, but more “the parents weren’t smart either”, or “not trying hard enough at school”. A lack of iodine isn’t only dangerous for the feeding infant, but can increase the risk of breast cancer for everyone. Since iodine is concentrated into the mother’s milk for the infant, nursing mothers are at much greater risk of low iodine levels. Especially if the mother’s already deficient in iodine, nursing will only deplete her levels even further. In situations like this, fibrocystic breast disease typically manifest themselves. Breast cancer rates are also higher in women with iodine deficiencies. Japanese women that consume copious amounts of seaweed are reported to have relatively lower rates of breast cancer. That and the fact that iodine induces apoptosis in breast cancer cells, it’s easy to see that iodine is vital for breast cancer prevention. This is also a case where iodine is shown to have addition benefits besides just keeping our thyroids healthy. 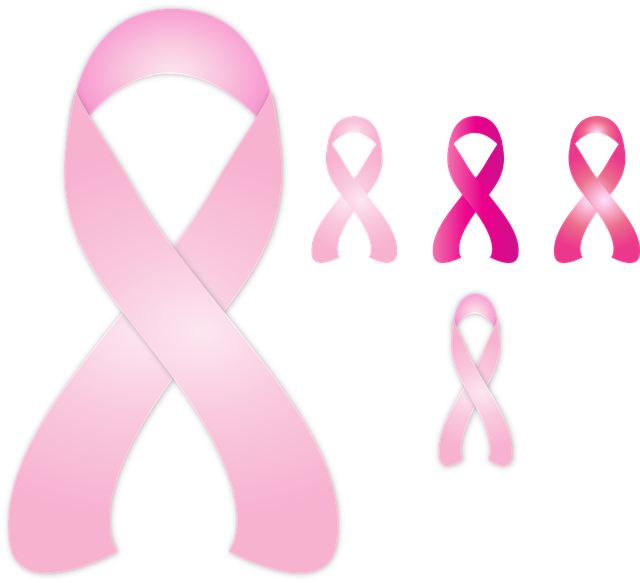 The inhibition of breast cancer actually occurs through modulation of the estrogen pathway, which is in part independent of thyroid function. When we have an iodine deficiency, our thyroid is down-regulated in its production of Thyroxine, one of the two thyroid hormones in our blood. In response, our body gives off high levels of Thyroid Stimulating Hormone (TSH) in an attempt to balance the deficiency. This can cause an enlarged and swollen thyroid gland. If left untreated for an extended period of time, the thyroid becomes permanently damaged and iodine supplementation becomes less effective at treating it. In 90% of cases, Goitre is caused directly by iodine deficiency. Interestingly, selenium deficiency is a contributing factor for increased risk of this disease as well. We briefly mentioned the environmental factors we’re exposed to on a regular basis that competes with iodine for uptake in our body. It’s practically impossible to get away from most of these chemicals as they’re in our food (e.g. bromide in bread), consumer products (e.g. 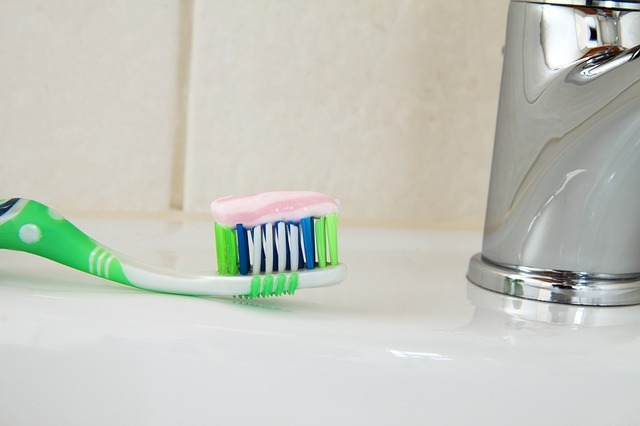 fluoride in toothpaste), and environment (e.g bromide in flame retardants and swimming pools). Combine this with the iodine deficient diet that many consume worldwide and you have a recipe for disaster. It’s easy to see the need to have sufficient iodine in not only our diets, but those of our families, especially young children. But don’t let the fear of disease be the motivating factor, but more so the benefits of a healthy body and mind, living a healthy life. It’s tough to get enough quality micronutrients in our diets as is. Unless we’re living on the coast of Japan or other coastal areas, trying to get enough of this trace mineral through diet alone can be nearly impossible. Don’t worry, iodine supplementation to the rescue! As with all my product reviews, this one has been researched and is backed by science and testimonials. It has been proven to not only work to reverse iodine deficiencies and associated conditions, but also maintain healthy iodine levels in our system. 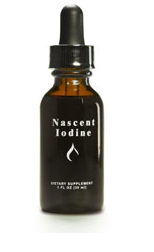 Check out the potent iodine supplement Nascent Iodine. So as to not bore you to sleep with geeky science, this iodine supplement is has a temporary magnetic charge that slowly dissipates as comes in contact with water. This results in an energy release that occurs over several hours, providing our body with a constant flow of energy from the iodine. In turn, our body absorbs this iodine with little to no waste since it’s recognized as the same type of iodine that’s produced by our thyroid. Unlike other popular iodine supplements on the market, Nascent Iodine does NOT do the thyroid’s job in its place, leaving the thyroid inactive and in a worse state than before. Instead, it provides our body with much needed iodine for healthy and proper function and regulation of our thyroid. Nascent Iodine is 2% iodine by weight, and provides 400 ug of iodine per drop. In which case, about 8 drops per day is what most of us would need. If we include more ocean veggies in our diet, then we can always lower dosage. Don’t choose to be deficient in this vital, life-saving mineral just because we don’t have enough iodine in our diet. Choose to be healthy, for both you and your loved ones by supplementing iodine into yours and their diet, health, and life.